This classic of twentieth-century literature chronicles the spiritual evolution of a man living in India at the time of the Buddha—a tale that has inspired generations of readers. 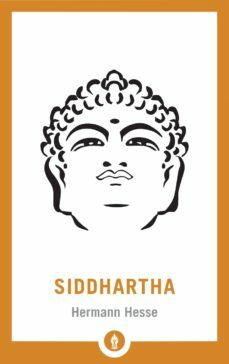 We are invited along on Siddhartha’s journey, experiencing his highs, lows, loves, and disappointments along with the beauty and intricacies of the mind, the natural world, and everything he encounters on the path to enlightenment. Sherab Chödzin Kohn’s flowing, poetic translation conveys the philosophical and spiritual nuances of Hesse’s text, paying special attention to the meditative experience. The introduction to this edition explores Hesse’s own spiritual journey as evidenced in his journals and personal letters and the wide-ranging impact Siddhartha has had, and continues to have, on American culture. This book is part of the Shambhala Pocket Library series. The Shambhala Pocket Library is a collection of short, portable teachings from notable figures across religious traditions and classic texts. The covers in this series are rendered by Colorado artist Robert Spellman. The books in this collection distill the wisdom and heart of the work Shambhala Publications has published over 50 years into a compact format that is collectible, reader-friendly, and applicable to everyday life. La verdad es que se me ha hecho algo aburrido. Con gran carga filosofal, intenta profundizar en el sentido de la vida y el lugar del hombre en ésta, pero se pierde un poco en materia mística budista haciendo que sea difícil identificarse con esas cuestiones, pareciendo que trata de forma un poco superficial asuntos que podrían tener más sustancia. Pero esta es solo mi opinión. Es muy buena su obra, la he le&amp;#237;do y me parece muy interesante. Lo felicito y suerte.